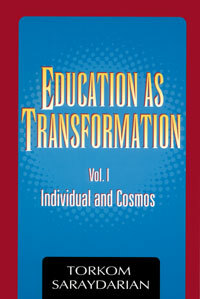 Education as Transformation, Vol. I, is the study of the relationship between the individual and Cosmos. This book is a call for true, higher education that is not built on sectarian separatism but built on the understanding and expression of spiritual laws. In exquisite detail, Torkom Saraydarian details the value and process of questioning that lead to inner discovery. Gathered from his many years of teaching and leading large numbers of students through the paths of inner transformation, the author makes a powerful statement for the goals of real education.